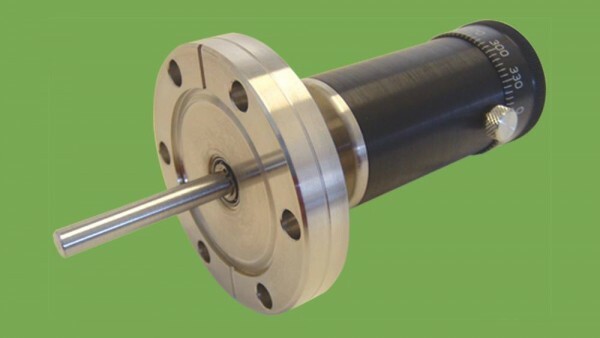 Our range of high torque rotary motion feedthroughs are designed to operate at temperatures as high as 250°C and rotational torque up to 1.766Nm. 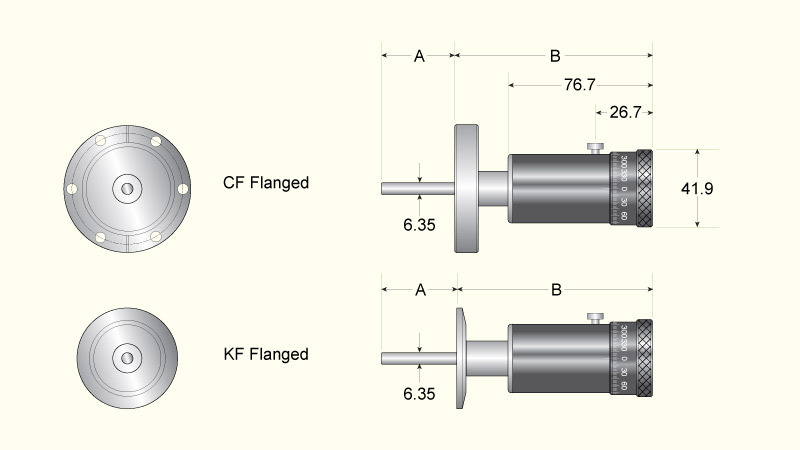 Feedthroughs are constructed from black anodized aluminium and stainless steel, with only stainless steel faces being exposed to the vacuum environment. 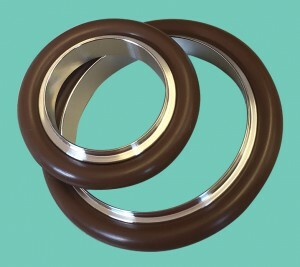 In-vacuum bearings are dry-film lubricated with tungsten-disulphide, while air side bearings are lubricated with high-temperature Krytox® lubricant. 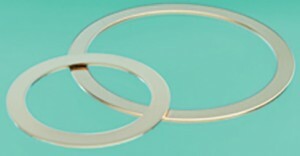 The rotational shaft is sealed with an AM-350 edge welded bellows. 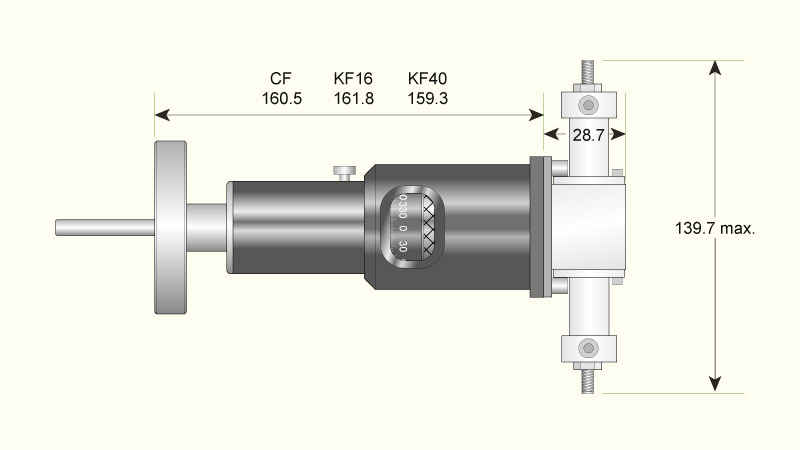 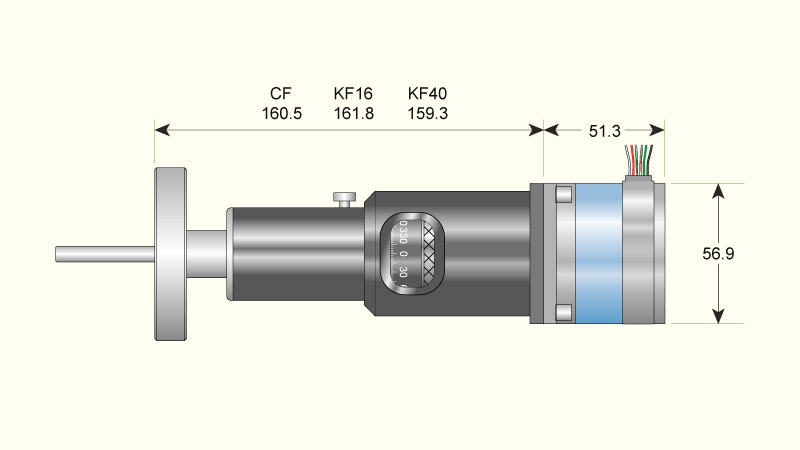 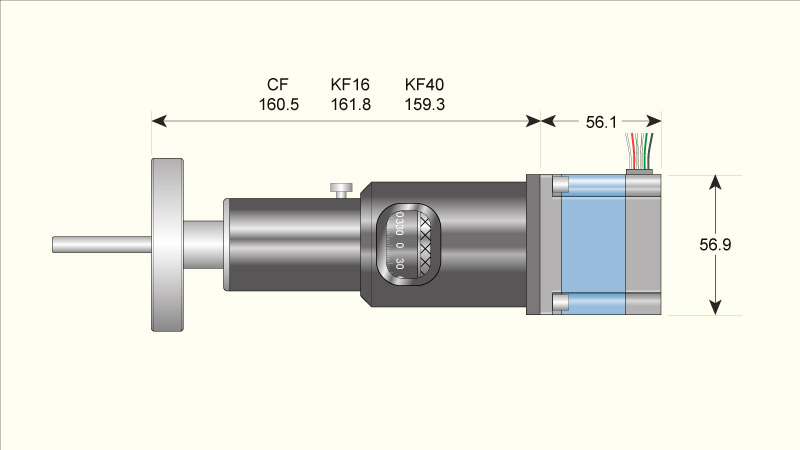 • Improved shaft coupling designed for high torque, rated to 1.766Nm. 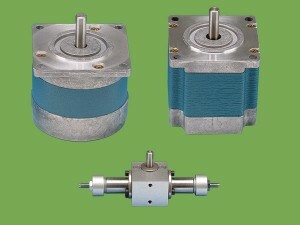 • Optional stepper motor or air actuator. 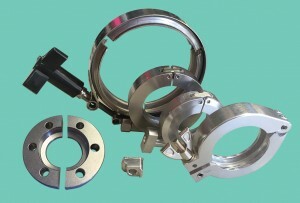 * – Assembly rating must be reduced to that of lowest rated component.